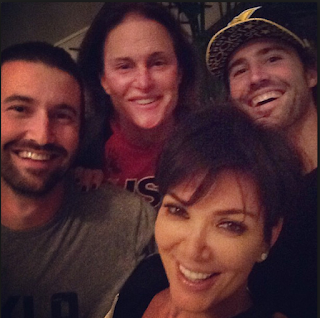 Kris Jenner cuts Bruce Jenner's sons from special episode addressing Bruce's gender reassignment. Kris Jenner continues to tighten her grip on Bruce Jenner’s gender transition. Confidenti@l is told Jenner’s sons Brandon and Brody were scheduled to appear on E!’s two-part “Keeping Up With the Kardashians” special about the process, airing Sunday and Monday, but Kris canceled on them. We’re told that not only did the Jenner guys want to have their say on the one-hour episodes, they had been given dates when they would be taping. We’re told that all of Kris’ daughters — Kourtney, Kim and Khloe Kardashian— will be on the show, as will Kendall and Kylie, her daughters with Bruce. Her son Rob Kardashian will not be appear. At press time, no new shooting dates had been scheduled with the boys. The special, “Keeping Up With the Kardashians: About Bruce,” which the network is billing as an “honest, raw, emotional … unfiltered exclusive” will air next Sunday and Monday. Kris and all the Kardashian sisters are listed as executive producers. Confidenti@l has previously reported that an increasingly bitter power struggle has been developing between the two sides of the family over how Bruce’s new life as a woman will be presented to the public. Kris, who is accustomed to tightly controlling the family’s media appearances, was uncomfortable because she had no input on Diane Sawyer’s “Bruce Jenner: The Interview,” the ABC “20/20” special in which the former Olympian announced that he identifies as a woman. Reps for Kris and Brody Jenner and E! did not return requests for comment.